Match ends, Sporting de Gijón 0, Valencia CF 1. Second Half ends, Sporting de Gijón 0, Valencia CF 1. Corner, Sporting de Gijón. Conceded by Jaume. Attempt saved. Antonio Sanabria (Sporting de Gijón) right footed shot from the right side of the box is saved in the top centre of the goal. Sergio Álvarez (Sporting de Gijón) wins a free kick in the defensive half. Offside, Sporting de Gijón. Isma López tries a through ball, but Bernardo is caught offside. Goal! Sporting de Gijón 0, Valencia CF 1. Paco Alcácer (Valencia CF) header from very close range to the high centre of the goal. Assisted by Zakaria Bakkali. Attempt blocked. Sofiane Feghouli (Valencia CF) left footed shot from outside the box is blocked. Attempt missed. Zakaria Bakkali (Valencia CF) right footed shot from outside the box misses to the right. Attempt blocked. Zakaria Bakkali (Valencia CF) right footed shot from the left side of the box is blocked. Assisted by José Gayá. Corner, Valencia CF. Conceded by Bernardo. Javi Fuego (Valencia CF) wins a free kick in the attacking half. Foul by Miguel Ángel Guerrero (Sporting de Gijón). Attempt missed. Paco Alcácer (Valencia CF) left footed shot from the centre of the box is too high. Assisted by José Gayá with a cross. Foul by Zakaria Bakkali (Valencia CF). Alberto Lora (Sporting de Gijón) wins a free kick in the defensive half. Attempt missed. Nacho Cases (Sporting de Gijón) right footed shot from the right side of the six yard box is close, but misses to the right following a corner. Attempt blocked. Luis Hernández (Sporting de Gijón) header from the centre of the box is blocked. Assisted by Carlos Carmona with a cross. Delay in match José Gayá (Valencia CF) because of an injury. Corner, Sporting de Gijón. Conceded by Aymen Abdennour. Attempt blocked. Miguel Ángel Guerrero (Sporting de Gijón) right footed shot from the right side of the box is blocked. Assisted by Antonio Sanabria. Substitution, Valencia CF. Zakaria Bakkali replaces Pablo Piatti. Jony (Sporting de Gijón) wins a free kick in the defensive half. Corner, Valencia CF. Conceded by Alberto Lora. José Gayá (Valencia CF) wins a free kick on the left wing. Foul by Jony (Sporting de Gijón). Attempt saved. Luis Hernández (Sporting de Gijón) right footed shot from outside the box is saved in the centre of the goal. Attempt saved. Pablo Pérez (Sporting de Gijón) right footed shot from the left side of the six yard box is saved in the bottom left corner. Assisted by Jony with a cross. Attempt saved. Bernardo (Sporting de Gijón) header from the centre of the box is saved in the bottom left corner. Assisted by Luis Hernández. Substitution, Valencia CF. Paco Alcácer replaces Álvaro Negredo. Attempt missed. Jony (Sporting de Gijón) left footed shot from the left side of the box misses to the right. Aymen Abdennour (Valencia CF) wins a free kick in the defensive half. Attempt saved. André Gomes (Valencia CF) right footed shot from outside the box is saved in the top centre of the goal. Assisted by Javi Fuego. Substitution, Sporting de Gijón. Miguel Ángel Guerrero replaces Alen Halilovic. João Cancelo (Valencia CF) wins a free kick on the right wing. Corner, Valencia CF. Conceded by Sergio Álvarez. Attempt blocked. Álvaro Negredo (Valencia CF) left footed shot from outside the box is blocked. Assisted by Daniel Parejo. Corner, Valencia CF. Conceded by Alen Halilovic. Foul by Alberto Lora (Sporting de Gijón). Substitution, Valencia CF. André Gomes replaces Enzo Pérez. Offside, Valencia CF. Daniel Parejo tries a through ball, but Sofiane Feghouli is caught offside. Attempt saved. Pablo Pérez (Sporting de Gijón) left footed shot from the centre of the box is saved in the centre of the goal. Assisted by Bernardo with a headed pass. Isma López (Sporting de Gijón) is shown the yellow card. Sergio Álvarez (Sporting de Gijón) wins a free kick in the attacking half. Substitution, Sporting de Gijón. Nacho Cases replaces Omar Mascarell. Attempt missed. 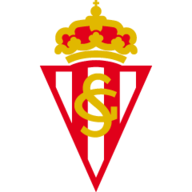 Antonio Sanabria (Sporting de Gijón) left footed shot from the left side of the six yard box misses to the right. Attempt saved. Bernardo (Sporting de Gijón) header from the right side of the box is saved in the top centre of the goal. Assisted by Luis Hernández. Offside, Sporting de Gijón. Antonio Sanabria tries a through ball, but Isma López is caught offside. Attempt missed. Pablo Pérez (Sporting de Gijón) header from the centre of the box misses to the left. Assisted by Luis Hernández. Daniel Parejo (Valencia CF) hits the bar with a left footed shot from the centre of the box. Assisted by Enzo Pérez with a cross. Attempt blocked. Antonio Sanabria (Sporting de Gijón) right footed shot from outside the box is blocked. Assisted by Alen Halilovic. Attempt blocked. Álvaro Negredo (Valencia CF) left footed shot from the centre of the box is blocked. Assisted by Pablo Piatti with a cross. Offside, Sporting de Gijón. Isma López tries a through ball, but Jony is caught offside. Attempt saved. Pablo Piatti (Valencia CF) header from the left side of the box is saved in the bottom right corner. Assisted by José Gayá with a cross. Second Half begins Sporting de Gijón 0, Valencia CF 0. First Half ends, Sporting de Gijón 0, Valencia CF 0. Omar Mascarell (Sporting de Gijón) is shown the yellow card. Enzo Pérez (Valencia CF) wins a free kick in the attacking half. Foul by Omar Mascarell (Sporting de Gijón). Attempt missed. Pablo Piatti (Valencia CF) left footed shot from a difficult angle and long range on the right is just a bit too high from a direct free kick. 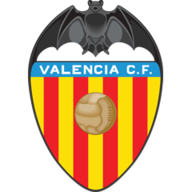 Enzo Pérez (Valencia CF) is shown the yellow card for a bad foul. Foul by Enzo Pérez (Valencia CF). Jony (Sporting de Gijón) wins a free kick in the attacking half. Offside, Valencia CF. Javi Fuego tries a through ball, but Álvaro Negredo is caught offside. Attempt missed. Pablo Piatti (Valencia CF) left footed shot from the centre of the box is close, but misses to the left. Assisted by Sofiane Feghouli. Offside, Valencia CF. Sofiane Feghouli tries a through ball, but Pablo Piatti is caught offside. Foul by Bernardo (Sporting de Gijón). Attempt missed. Álvaro Negredo (Valencia CF) left footed shot from the centre of the box is close, but misses to the right. Daniel Parejo (Valencia CF) is shown the yellow card. Daniel Parejo (Valencia CF) has gone down, but that's a dive. Álvaro Negredo (Valencia CF) wins a free kick in the attacking half. Attempt missed. Pablo Piatti (Valencia CF) left footed shot from outside the box is just a bit too high. Assisted by Sofiane Feghouli. Offside, Valencia CF. Sofiane Feghouli tries a through ball, but Álvaro Negredo is caught offside. Corner, Valencia CF. Conceded by Iván Cuéllar. Attempt blocked. Daniel Parejo (Valencia CF) right footed shot from outside the box is blocked. Assisted by Pablo Piatti. Attempt saved. Antonio Sanabria (Sporting de Gijón) right footed shot from the centre of the box is saved in the centre of the goal. Assisted by Alen Halilovic. Isma López (Sporting de Gijón) wins a free kick in the defensive half. Iván Cuéllar (Sporting de Gijón) wins a free kick in the defensive half. Attempt blocked. Alberto Lora (Sporting de Gijón) right footed shot from the right side of the box is blocked. Attempt saved. Jony (Sporting de Gijón) left footed shot from outside the box is saved in the bottom right corner. Attempt blocked. Álvaro Negredo (Valencia CF) left footed shot from outside the box is blocked. Assisted by José Gayá.